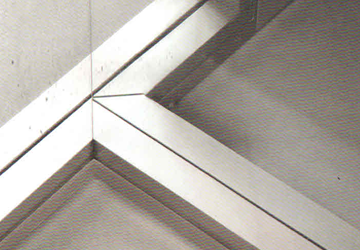 Glass has a variety of properties which makes it a highly valued material in interior design. Low cost, transparent and strong enough to create a barrier, glass is perfect when there is a need for a boundary without restricting light and sight. 99.9% of windows use glass for the free-flow of light in the premises and to be able to see out. In a way, glasses create a barrier without restricting sight at the same time which makes it a perfect match of material to purpose. 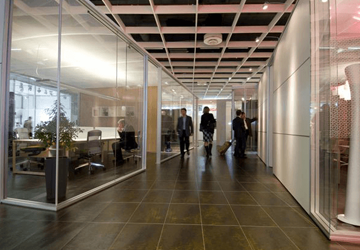 Being a modern solution to dividing space between employees and the authorities, glass partitions are gaining popularity worldwide in the contemporary times. Both sleek and elegant, they add to the persona of a workplace. These are the benefits that come along with glass partitions. These partitions are internal walls which define, close off and demarcate spaces. They are utilized when you want to use an area for different activity at the same time not letting it completely shut down. 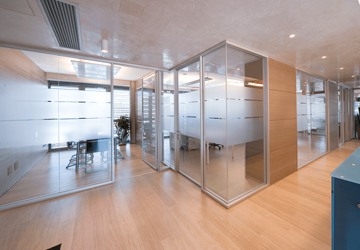 Glazed partitions are the most preferred ones and recommended ones by Commercial Interior Designers for offices, commercial premises and public buildings. 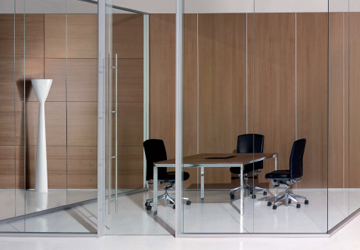 EVOSQUARE is a partition system designed to meet varied aesthetic and acoustic requirements within the modern workspace. 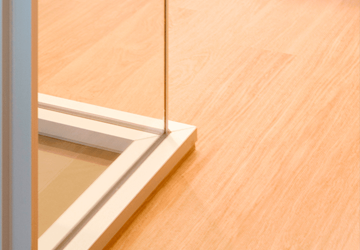 The system comes with a top & bottom recessed skirting with 10 mm thick glass plates. 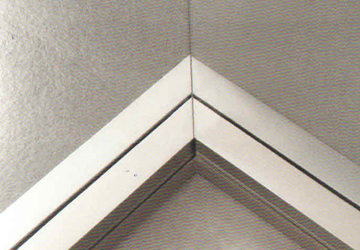 The linear joints between the glazed modules are provided with aluminum profiles sealed with high bonding double side adhesive tape. This system has a provision of a connection to a Dual Slab Partition and is provided with a leveling mechanism allowing a vertical adjustment of +/- 7.5 mm. It is also provided with a glazed, glazed styled door or solid door. This partition system offers sound insulation up to 32 db. Office Interior designers when consulted suggest using glazed glass partitions because it creates an interesting touch to the office simultaneously creating space, allowing maximum light and giving the effect if a trendy professional atmosphere. 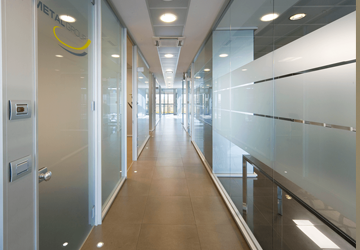 With millions of options available, glass partitions work best to refurbish or upgrade a workplace!